The idea for the Mental Health and Autism Insurance Project came about when parents came together and realized that their health plans were providing few, if any, services for our children with ASDs. A non-profit was formed in 2009. Our mission is to assist families with children with autism spectrum disorders (and later other mental health conditions) to obtain medically necessary treatments through their health plans, so that they can ultimately reach their full potential. We do this by fielding questions from the public, offering seminars to the public, educating legislators and regulators on laws that will protect these populations, and providing direct services to assist families with obtaining single case agreements, writing appeals and requesting regulatory intervention. We also help providers and the facilities that serve them by offering pre and ongoing authorizations, appeal writing, billing (for facilities), collecting unpaid claims, and other services, as needed. Even before her son was diagnosed, Karen Fessel sought to get the most out of her health insurance benefits. Having a Doctorate in Public Health and having worked in a variety of health settings, including Kaiser, she felt that it was important for health insurance to provide medical care that individuals need. When her son first came to medical attention, Karen was told to take him to the school district for further evaluation. Her son was offered a half hour a week of group speech therapy during his pre-school years. He did not qualify for regional center. With only a vague diagnosis of expressive and receptive language delay, Karen turned to her health plan to supplement the school district’s meager offering and also to provide occupational and later group social skills therapies. Later, with the diagnosis of Asperger’s, Karen was able to secure regional center support, more extensive educational programs from the school district, and health insurance protection under AB 88, the California Mental Health Parity law. Some of our latest news! If you are interested in joining our mailing list please click the button bellow! We will send you updates in whats going on with us and our quarterly newsletter. Your donation helps us to field calls from the community and provide advice to low income families. Donate through through the Pay Pal link below. I. CA state employees may donate here through the CA state campaign, or with our code 29208. II. We are also a recognized cause through the corporate employer-matching philanthropic site Benevity (as Mental Health and Autism Insurance Project). IV. CFC (Combined Federal Campaign) allows federal employees to contribute to select non-profits through this campaign. 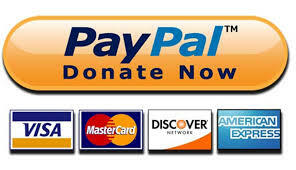 Click here and enter 88784 to locate our organization's donation page.